MANHATTAN — For the first time in its 39-year history, the hugely popular Village Halloween Parade, scheduled to take over Sixth Avenue in Greenwich Village on Wednesday evening, has been canceled — a casualty of Hurricane Sandy. The Mayor’s Office of Emergency Management and the NYPD nixed the parade this year, organizers announced on their website and Facebook page on Tuesday. This year, the parade had promised the spooky theme of "Tick! Tock!" which would explore the end of time in the final year of the Mayan calendar. 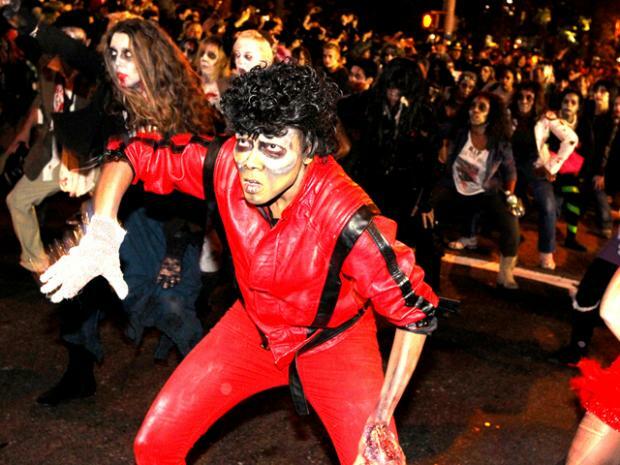 And more than 2 million people were expected to swarm Sixth Avenue to take in the annual “Thriller” dance, hundreds of puppets and 53 bands. The cancellation announcement met with mixed emotions Tuesday from those on social media who were planning to attend. Some lamented the parade’s absence this year, but praised the decision in light of all the havoc Hurricane Sandy wreaked on New York City Monday. Others clamored for the event to be rescheduled, or for a party to be held in lieu of the parade.